Being able to nurture ideas into vibrant landscapes where people and lifestyles thrive in progress is a legacy that property developers can hand on to generations. Greenfield Development Corporation has this unwavering vision of land stewardship and legacy since it started in 1961. 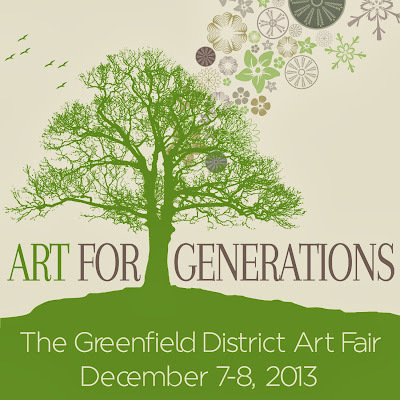 And to cultivate this vision, Greenfield District Corporation holds a two-day art fair this December 7 to 8, 2013 to celebrate a legacy of building innovative communities for the next generation. “Art for Generations aims to bring the local art community and the public together in a celebration of creativity, traditions, and heritage through activities and exhibits that exude the joy and heritage of the Yuletide season,” shares Atty. Santos. According to him, the concept of the festivity draws inspiration from Charles Dickens’ “A Christmas Story” by celebrating stories from the past, the gifts of the present, and the possibilities of the future. 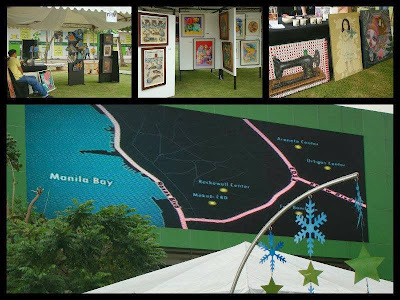 Staged in partnership with various local art galleries and creative labels, the outdoor art fair celebrating unique Filipino artistry—a first at the Greenfield District—aims to foster greater public appreciation for local contemporary art and craftsmanship through a variety of activities. Visitors can enjoy a weekend of art exhibit featuring the masterpieces of prominent local artists, plus outdoor art film screenings and insightful art appreciation talks that weave cultures, beliefs, and innovative thinking all together. Award-winning art films such as “Colossal” by Whammy Alcazaren (Best Cinematography awardee at the 36th Gawad Urian), “Ruweda” by Hannah Espia (Cinemalaya 2012’s Audience Choice Award recipient), and many more will make the cool December breeze at Art Films in the Sky a memorable one. Central Park visitors at the Greenfield District will also be serenaded by a string quartet and jazz band as they leisurely shop for art pieces and gifts at String and Jazz.